A lot can happen in three minutes - including the end of an engagement. 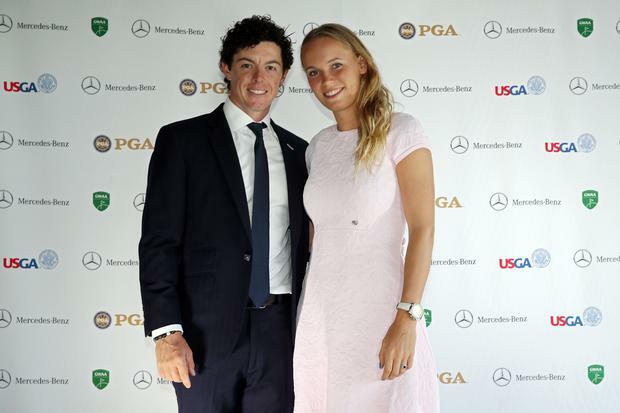 It's reported that’s all the time it took for Rory McIlroy to end his engagement to Caroline Wozniacki in a phone call. The Northern Irish golfer announced that he and Caroline would no longer be getting married at a press conference on May 21st. Now it has emerged that the three-year relationship was ended in a phone call lasting just 180 seconds. The call came as such a shock to tennis star Caroline (23) that she reportedly believed it was a joke. The couple had hired a celebrity wedding planner, sent out their invitations and Caroline, former world number one tennis player, had already picked her dress for the big day. Against the wishes of her agent, she admirably returned to the court this week. Caroline Wozniacki will play her first game since the break-up with Rory McIlroy at the French Open tomorrow. In a public statement, Rory (25) said, “The problem is mine. The wedding invitations issued at the weekend made me realise that I wasn’t ready”. Caroline and Rory became engaged in Sydney on New Years Eve after a two year relationship. Save-the-Date cards had been issued by the pair just days before Rory’s announcement, informing guests of their nuptials in New York this coming November. The day after Co. Down native Rory announced the split, the tennis ace tweeted: "It's a hard time for me right now. Thanks for all the sweet messages. Happy I support Liverpool right now because I know I'll never walk alone." Meanwhile, Rory had his first win since 2012 over the weekend with a remarkable victory in the BMW PGA championship. By Associated Press Reporters Taylor Swift has said she is releasing a new single and music video called “ME!” on Friday that is about “embracing your individuality and really celebrating it”. By Craig Simpson, Press Association Director Jonathan Levine has said he and collaborator Seth Rogen did not need the #MeToo movement to teach them respect in Hollywood. By Craig Simpson, Press Association Charlize Theron remains optimistic about politics for the sake of her children.